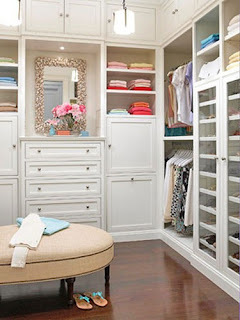 Oh to have room for a walk in closet, I can sit hear and day dream all day what it would be like to have space to spread everything out and organize my wardrobe in a single room. How blissful it would be to give up the storage space outside the city and have both seasons of clothes living harmoniously under one roof. 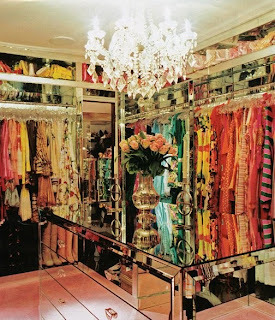 Snap back to reality & city living, spaces like this generally don't exist unless you have mucho dinero or live in suburbia and can dedicate an entire room to your clothes (which I totally would do). 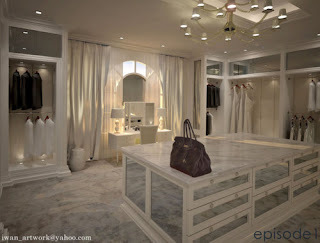 Check out the beautiful closets below and then the celebrity dressing rooms towards the end for some closet eye candy. 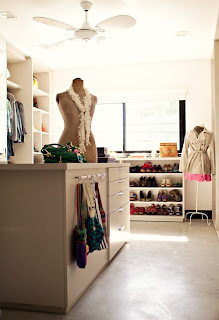 Is this a shoe store a closet - she is ridiculous but how nice to have this much space just for your shoes! 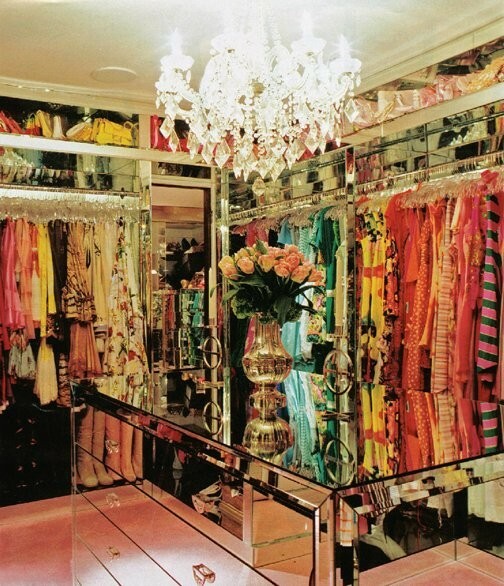 Jenna Lyons, Brooklyn Townhouses Dressing room is beyond awesome. I love that's its not uber fancy & I am dying over a fireplace in the room - yes please.